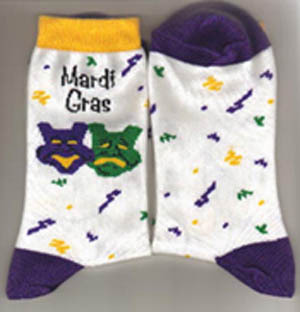 Mardi Gras Socks! What a great way to show your true colors: PURPLE, GREEN & GOLD! Also great as favors or gifts. These socks feature Comedy & Tragedy faces and the words "Mardi Gras" across the top.